Models waiting to be striped, rebuilt and repainted! 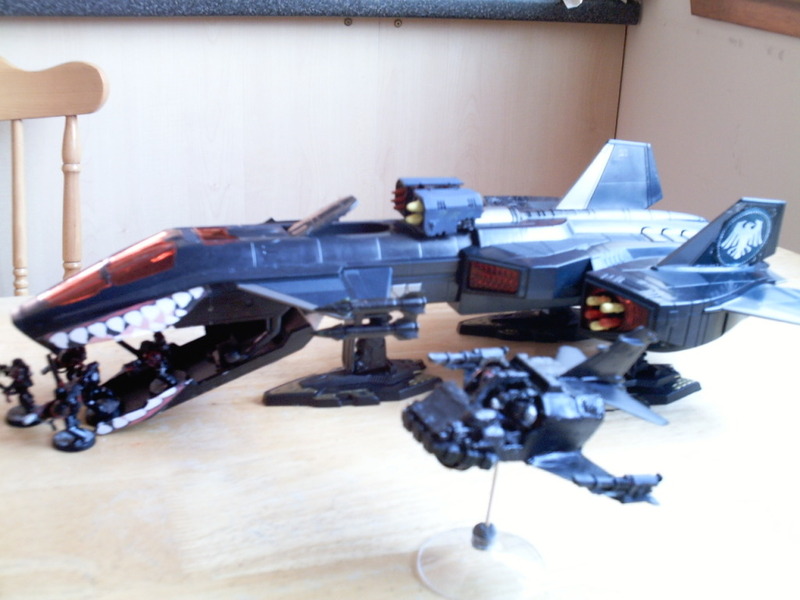 Ravenguard Thunderhawk needing finishing touches. My sons IG armoured group..... in process of stripping and repainting..... now most in his colours of black with gold rivets.... only 4 more Leman Russ and the shadowsword to go. Stormbird in progress..... needs wings reskinning. 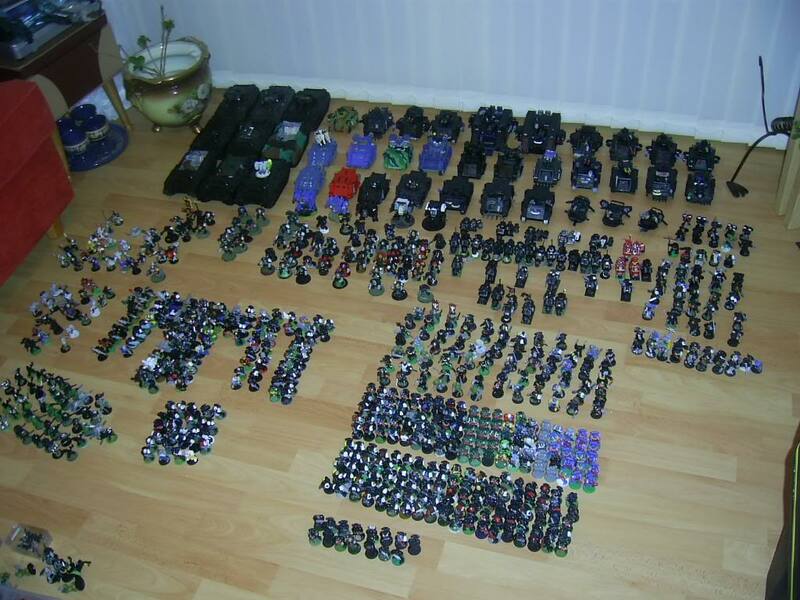 Holy crap that's a lot of tanks! 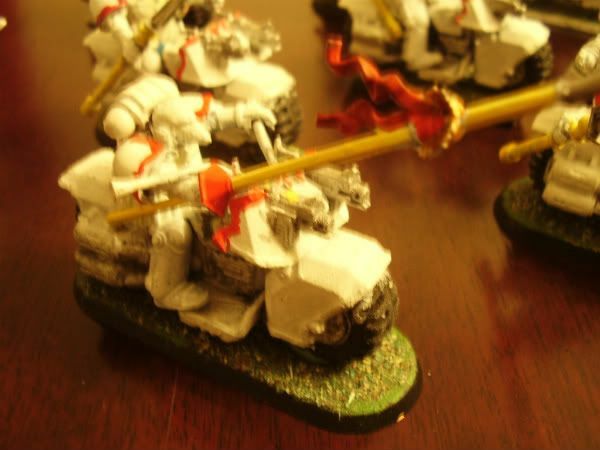 And is that the entire White Scars chapter? 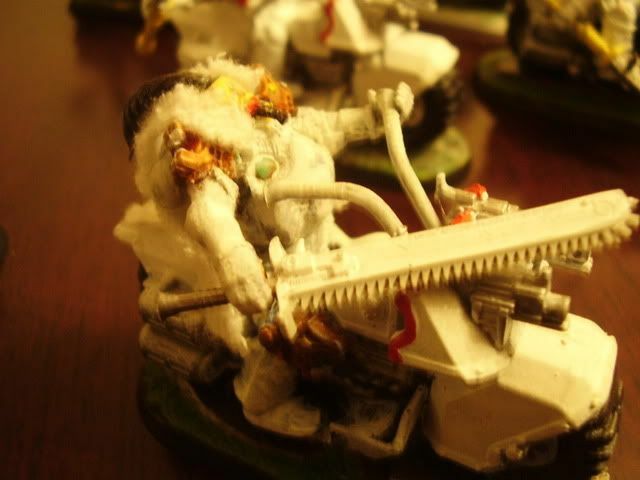 I used to be part of a Pre-Heresy Campaign group fielding 30K armies...... I've got a lonnnnnggggg way to go before I can field Jagahtai's legion! 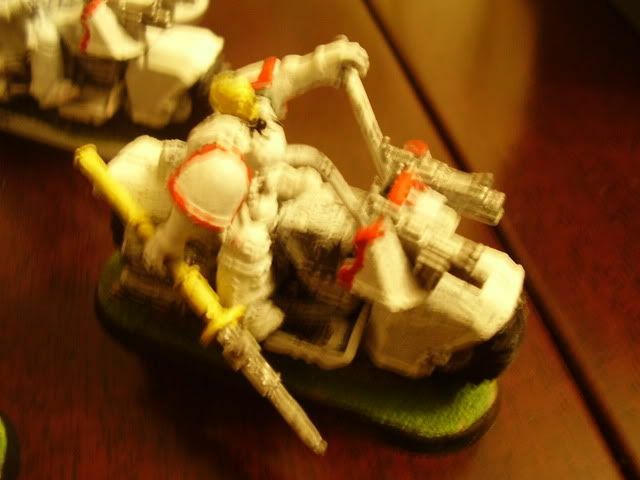 Actually if I count my Predators, Sternguard and Razorbacks, Tacticals and Rhinos I have equivalent to 1&1/2 Chapters.... Biggest bikes only force I have fielded was 6000pts in an appoc game. As you might have guessed I love bikes!